The Grand Mufti of Australia and New Zealand Ibrahim Abu Mohamed has called on Prime Minister Scott Morrison to push for new laws to greater protect Muslims against Islamaphobia. Dr Mohamed met with Mr Morrison following Friday's Christchurch mosque massacre which claimed 50 lives. He told SBS Arabic24 that he brought three items to the table during the meeting, including his request for the introduction of new laws which would make it an offence to discriminate against Muslims. He noted that such laws would be similar to those in place in numerous countries which protect Jews against antisemitic speech. Section 18C of the federal Racial Discrimination Act prohibits actions, including what is widely called hate speech, that "offend, insult, humiliate or intimidate another person or group of people" based on their race. However, comments directed towards Muslims are said towards people who adhere to the Islamic faith, not at a racial group. He also asked Mr Morrison to ensure that the Christchurch attack was "documented" in a way that it would "go down in history as a terrible massacre". Archbishop of Sydney Anthony Fisher (left) speaks with Grand Mufti of Australia Ibrahim Abu Mohamed after he addressed an Interfaith gathering on Sunday. Dr Mohamed's third request was for the governments of Australia and New Zealand to hold state memorial services, and to erect physical memorials in both countries to remember the victims of the attack. "I and the whole Muslim community are waiting for the prime minister's response to these demands," Dr Mohamed said, following the weekend meeting. Mr Morrison on Monday announced that Australia's religious schools and places of worship would be offered an extra $55 million in community grants to boost their security. It came following condemnation within political circles of Independent Senator Fraser Anning for comments following the attack that the "real cause of bloodshed on New Zealand streets today is the immigration program which allowed Muslim fanatics to migrate to New Zealand in the first place". Senator Fraser Anning speaks during a press conference in Brisbane, Monday, March 18, 2019. Mr Anning doubled down on Monday, saying he had "no regrets" over the comments. "Unfortunately, that sort of violence is already here, usually it's being perpetrated by the Muslims attacking the infidels or Christians," Mr Anning said. Dr Mohamed accused Mr Anning of "creating a crisis". "We don’t want to create a crisis, we want to defuse the crisis," he said. "We are waiting of the response of the two big parties, the prime minister and the opposition leader. We have absolute trust in the Australian society and we know that hate and racism are incidental viruses to society. "Everyone, Muslim or non-Muslims, no matter what colour they are, we are all guests on Aboriginal land." 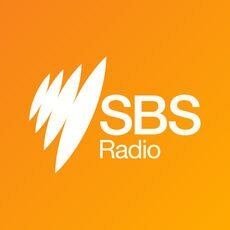 SBS has contacted the prime minister's office for comment.